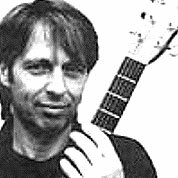 Harry Sacksioni (born 23 October 1950, in Amsterdam) is a composer and guitar virtuoso of Dutch origin. The peak of his fame was during the 1970s to 1990s. Famous works of this period include Meta Sequoia, Vensters and Elixer, along with re-arrangements of existing pieces, such as Anji (Davy Graham), Scarborough Fair (arr. Paul Simon) and I Wish (Stevie Wonder). 35 Measures. 3 Pages. Time Signature 2/4.